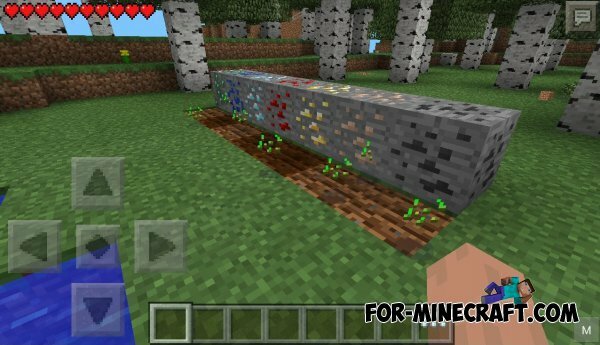 This is a new mod ore for Minecraft PE. With this mode you can now grow any ore. You will be able to sit on a bed normal ore and over time this will grow a lot of ore. Now you do not have to run around in search of the necessary ore. Just plant it and wait for the harvest. Using special seeds you can put the necessary ore.